“Clubwoman” in an ad for Quaker Oats cereal, October 1920. 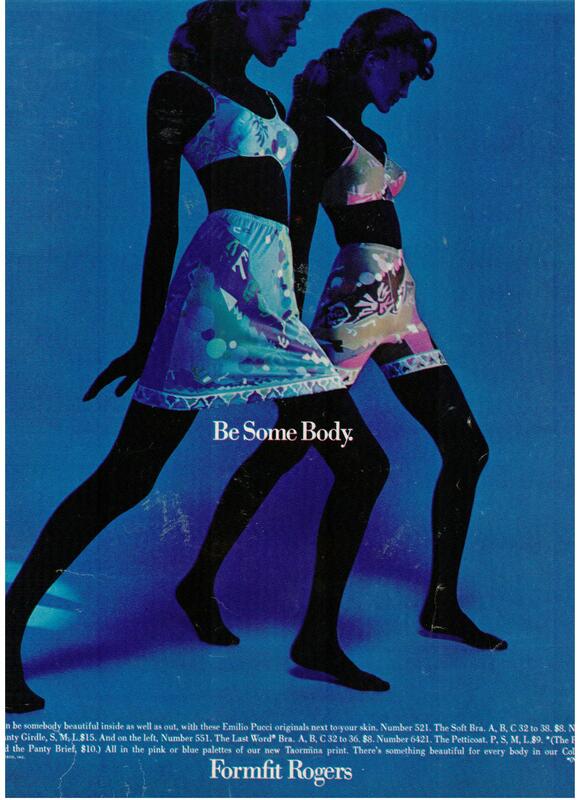 Left, a two-piece dress with a bi-color hip band, Butterick 2267. Right, a more complex cut, with pleats falling from a diagonal zig-zag; Butterick 2279. 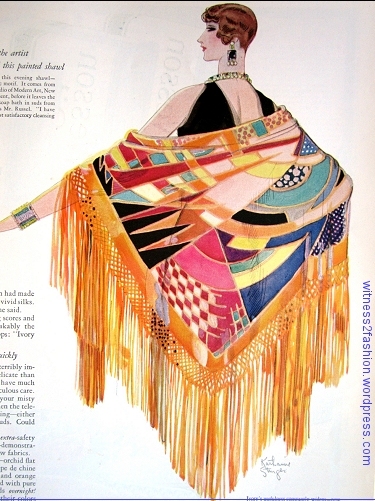 The collar of the dress on the right becomes a loose scarf — a detail often seen on late Twenties’ dresses. 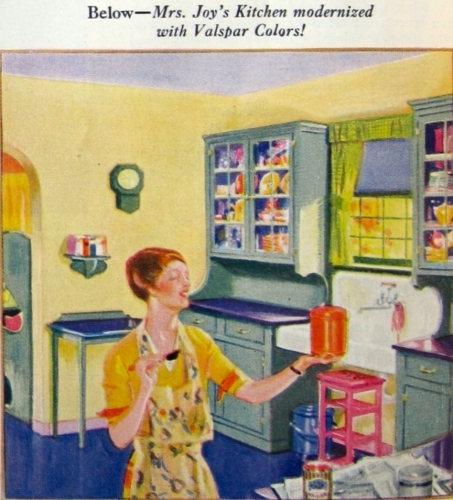 An ad for Diamond Dyes suggests that your high-school or college-age daughter can wear dyed dresses instead of new ones. 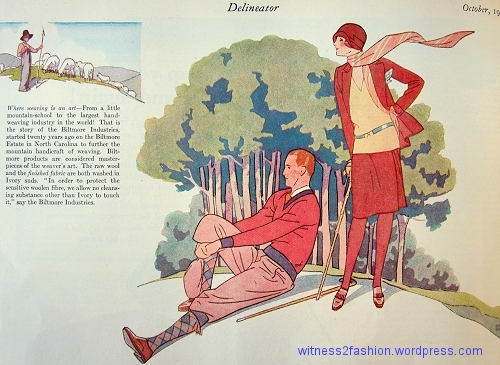 Delineator, October 1928. The school girl’s two-piece dress is inches above the knee and has a dynamic Art Moderne repeated V in front, plus a pleated skirt. The high-school girl’s skirt exposes her knees completely. 1928. Her belt is two-toned. I was about to comment that the dress does not look “long out of style,” but dresses for girls were always shorter than dresses for women, so perhaps she did wear it when she was 13 or 14. Although the picture isn’t really clear, this dress for young women has a vertical zig-zag button placket closing. Butterick 2258. The pleats are cleverly inserted into a point at front and side fronts. 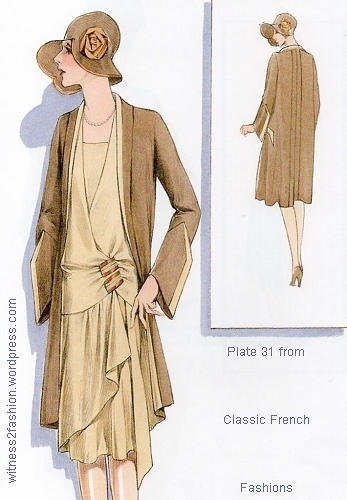 Butterick 2275 is a typical, simple Twenties’ style. The surprise is the neckline, which ties in front and in back. Once again, the skirt part of the dress only has pleats on the front. If you look closely, you can see a vertical line of buttons at the side of the top, just at the hip. This allowed a pull-on dress to be fastened tightly at the hip. Butterick 2281 and 2245 are day dresses in the normal range of women’s sizes. 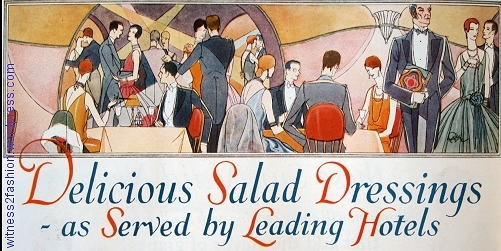 It looks like pleats were chic in the Fall of 1928; they go all the way around in dress 2245, right. 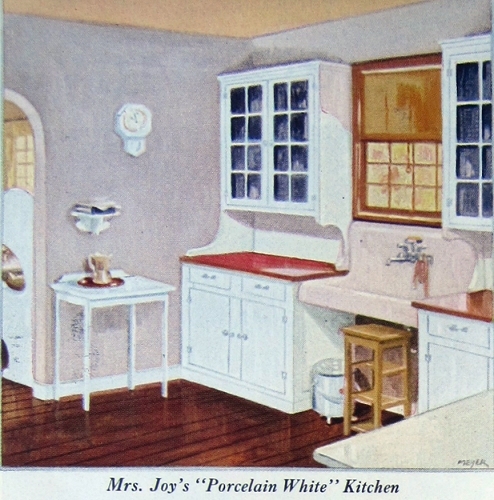 Delineator, October 1928, p. 121. Prints and plaids for daytime. The pleats at left are top stitched, but would not be if the fabric was printed velvet. The dress on the right (2245) is probably waistless. Butterick 2283: all the interest is in the front. The pleats are top stitched for several inches. 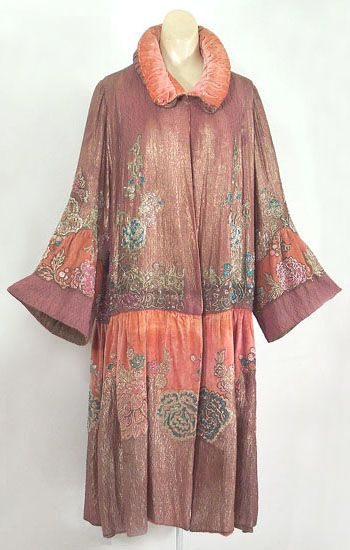 This dress was recommended for large sized women — up to 52 inch bust. The cuffs echo the band with decorative button at the point. There are no figure flattering diagonal lines in back, however. The two dresses below are also for larger-than-average sizes. Can you figure out why? Butterick 2227 (left) and 2249 (right.) 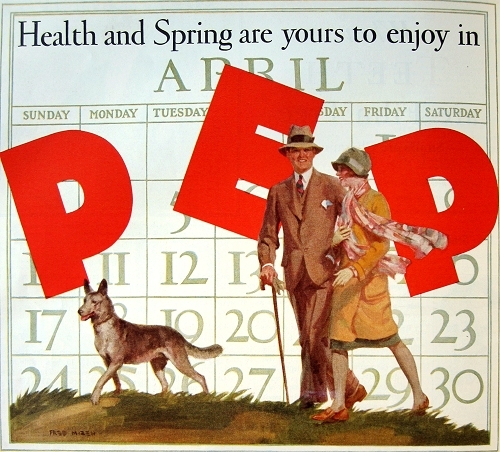 October 1928. A closer view of Butterick 2227 and 2249. This modern velvet comes reasonably close to the printed fabric at left. a description of the dress at right is below. The thing all three dresses for larger women they have in common is: Surplice (i.e., diagonal) lines. This simple afternoon dress calls for printed velvet; here is one source. Printed silk rayon would work, too. 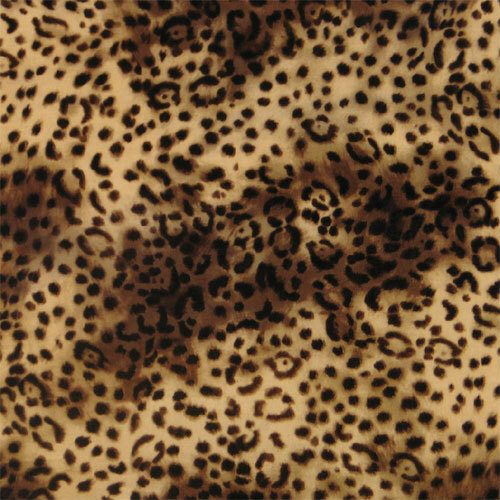 Rayon is one of the first synthetic fabrics, often used in the Twenties. A simple afternoon dress, October 1928. Butterick 2253. A coat for girls and a dress to go under it. 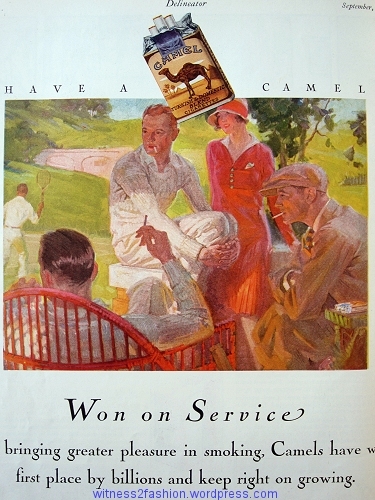 October 1928. Butterick patterns in Delineator. 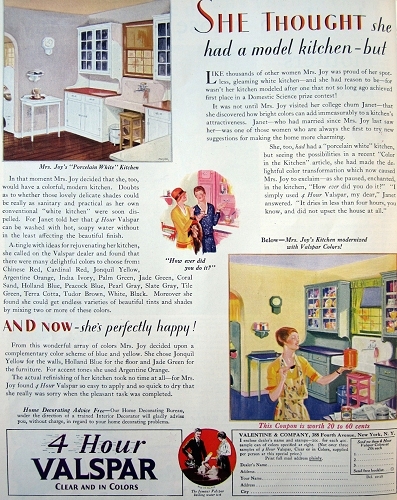 Butterick for schoolgirls ages 8 to 15, October 1928. Their knees are not covered at all. These princess line dresses from the 1920’s do not have the characteristic horizontal hip band of most twenties’ fashions. Not all 1920’s dresses had a strong horizontal line across the hip. Princess-seamed dress patterns were available for several years and didn’t change much — except for their length. 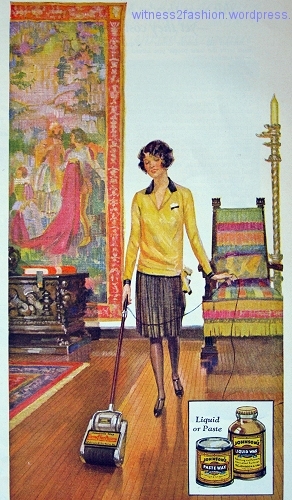 Left, Butterick 1683, a princess line dress; Delineator, October 1927, page 31. These 1927 hemlines are just below the knee. The rear view of the princess dress (1683) shows the characteristic princess seams, which can be shaped to follow the lines of the body without any waist seam. The front and back are each divided into three panels. A princess line dress usually skims the body — at least, they did before the use of stretch fabrics and elasticated knits. 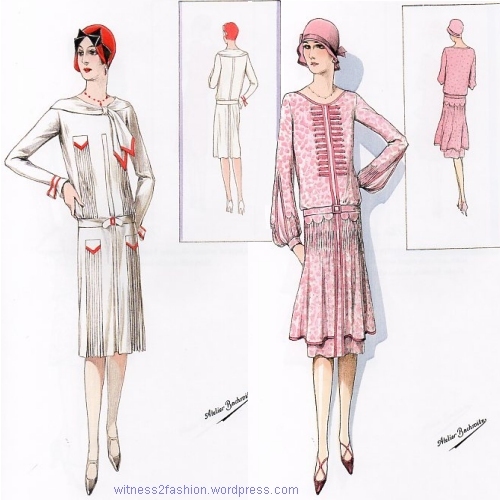 Here are some other princess line patterns from 1925 to 1928. Some combine fur and velvet for evening, but one is a day dress. Left, Butterick princess line dress pattern 6424, Delineator, December 1925. For a young woman or teen. 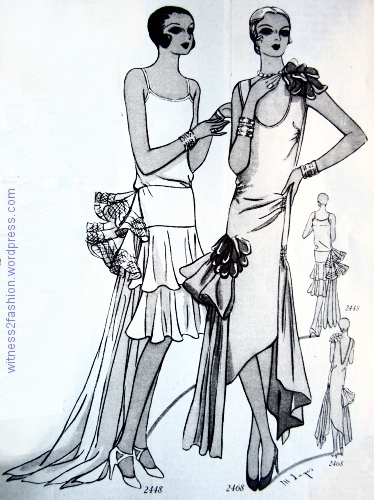 Left, Butterick princess line dress pattern 6506, from December 1925. Also from December 1925, Butterick princess line dress pattern 6428. Dresses for adult women were slightly longer than those for teens. 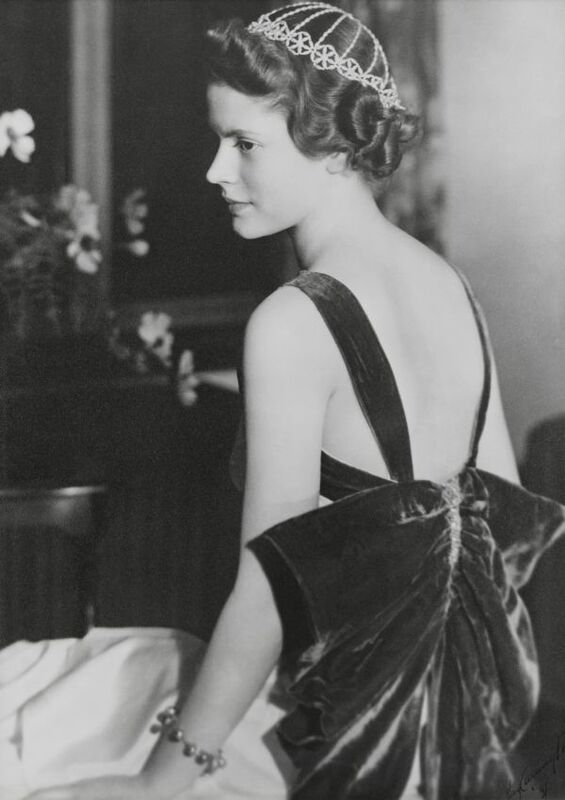 In 1928, the princess line evening gown has a hem that dips low in the back. So does the neckline. 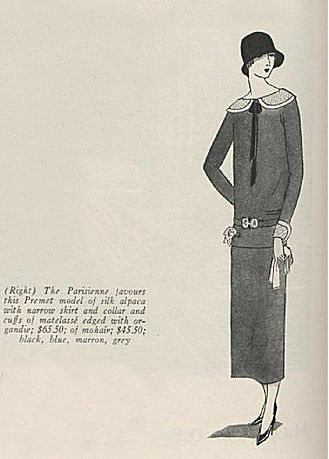 Butterick princess line pattern 2257, from October 1928. Delineator. A chenille or ribbon shoulder decoration draws our eye up toward the face on these formal dresses from December 1927. Butterick patterns 1734 and 1753. I think I’ve mentioned this before: a director once told me that he wanted “absolutely authentic 1920’s costumes” — but added, “Just don’t give me any of those dresses with the waists down around the hips!” In times (like the 1980’s) when contemporary fashion insists on narrow hips and wide shoulders, making an actress feel confident in a dress with natural shoulders and a horizontal line across her hips can be difficult — especially if she isn’t slim-hipped or is self-conscious about her figure. Trim or fur leads your eye to focus on the top of the body in these styles from December 1928. Butterick patterns 1761 and 1757. But theatrical designers also have to consider audience expectations — I would not do a twenties’ show in which every woman wore princess line dresses! However, the princess line dress is among the authentic possibilities for one or two characters, or for a re-creator who doesn’t have a “boyish” figure. 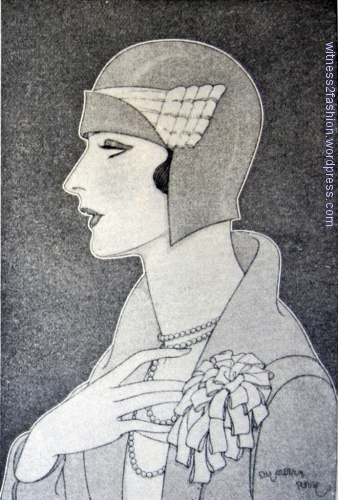 Illustration by Helen Dryden, Delineator cover, September 1928. A band of deep pink on the scarf lends a touch of bright color to her head and face area. The most flattering twenties’ styles balance the hip interest with interest near the face. Butterick patterns 1745 and 1735, from December 1927. For plays and operas, we try to draw attention to the face and upper body. (It sounds crazy, but audiences can’t hear the lines if they can’t see the faces. Humans lip-read much more than they realize.) Accessories that create a vertical line, such as lighter or brighter colors near the face, those looooong 1920’s necklaces, and those often-seen 1920’s shoulder decorations are flattering and authentic twenties’ tricks. A scarf or bows with long ties add interest to the top of the body and, in the case of the bows, create a vertical line to balance the hip interest. 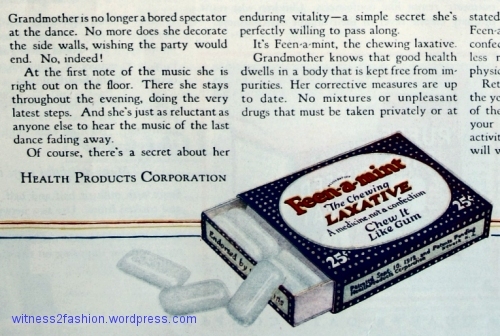 June 1928, Delineator. 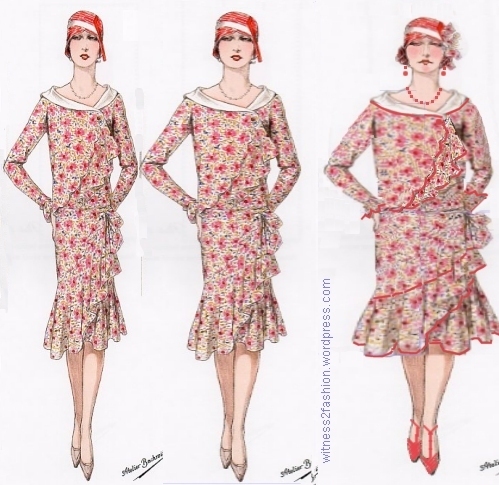 These three couture sketches are undoubtedly twenties’ styles, but they use a variety of styling tricks to move our attention up the body, toward the face, and to deflect interest from the hips. French designer fashions from May 1928. 1) Renee, 2) Jane Regny, 3) Jenny. Sketches for Delineator. The coat by Jenny suggests princess lines. 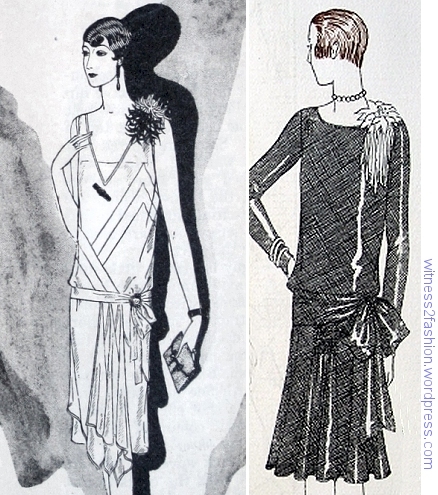 Two “Formal Frocks” from Delineator, December 1928. Butterick patterns 2379 and 2287. 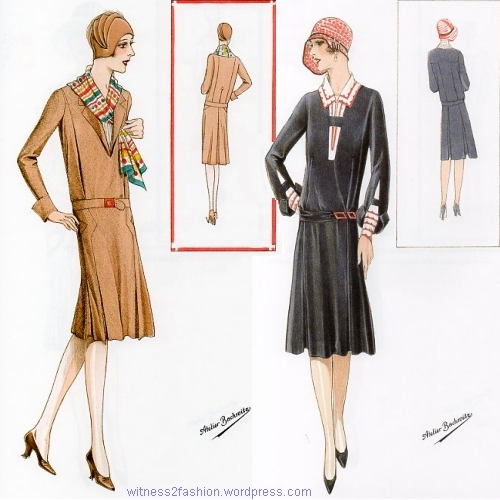 Butterick evening patterns 2347 and 2367, Delineator, December 1928. Many late twenties’ hemlines combined long and short looks. (Click here for more examples.) For young women, a fuller skirt was also an option. Butterick 2366, evening or bridesmaid’s gown for young women. Dec. 1928. The shorter, close-to-the-body under layer is visible through the sheer tulle top layer. This dress is also notable for the bareness of its shoulders. Butterick 2366 has “lingerie straps;” usually such thin straps were only visible when veiled by a more substantial chiffon or lace dress shoulder, as in Butterick 2287. December, 1928. Such thin straps were previously seen on slips and chemises, so using them to hold up a dress was provocative. The girl who wore No. 2366 as shown was presumably not wearing any underwear above the waist, although she could opt for the more conservative, sleeveless version of the dress as shown in the back view. A metallic tulle (see-through) skirt with a metallic tissue lame bodice would have made a less demure gown than the model’s expression suggests. Another lingerie strap evening dress was illustrated in February of 1929. Butterick 2387 is meant to flutter. Dark fabrics are suggested, which does not rule out shades of red…. December 1928. The ripple of such flounces is achieved by cutting them on a curve. Butterick 2379 , with a long “bustle” drape in back, supposedly shows the influence of Chanel. Butterick formal evening gown pattern 2379; Dec. 1928. Note the very low back. The long end of the bow “gives the one-piece frock an uneven hem and a down-in-back movement…. The low flare of the tiers [is] in the Chanel manner.” Such bustle bows were seen in 1928 and into the early thirties; The Vintage Traveler recently shared a photo of one originally made in 1932. Starched lace stands away from the body in Butterick formal evening dress No. 2347. December 1928. Lace dress by Chanel, “stiffened at the edges,” illustrated in Delineator, Nov. 1928, p. 114. It’s interesting to think that some (now) droopy, vintage lace gowns might once have been stiffened like these. Butterick evening gown 2367 from December 1928. Delineator. The same December issue of Delineator magazine illustrated many beautiful evening shoes to wear with these gowns. 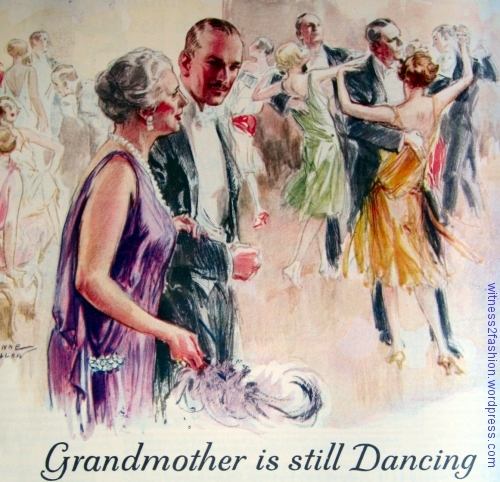 Click here for “Dancing Shoes, December 1928.” And I never get tired of Designer watches from the late twenties. 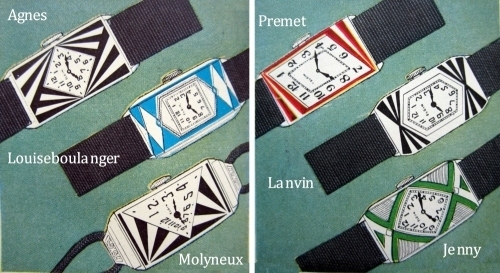 Click here for diamond evening watches, and here for sporty Art Deco Designer watches in color. Note: I have shown some of these dresses before, but without the details or accompanying descriptions. 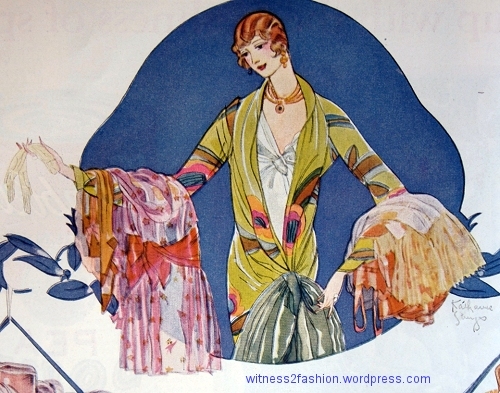 Two plates from Classic French Fashions of the Twenties, Atelier Bachwitz. A Dover Book. 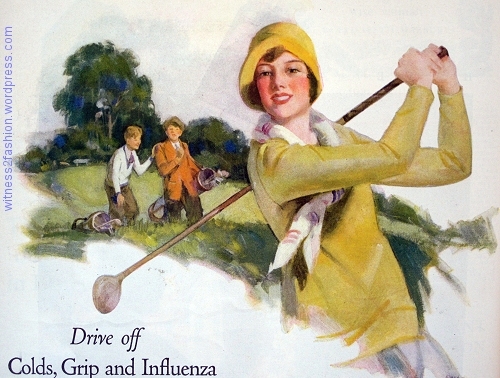 Sporty Styles for 1929. 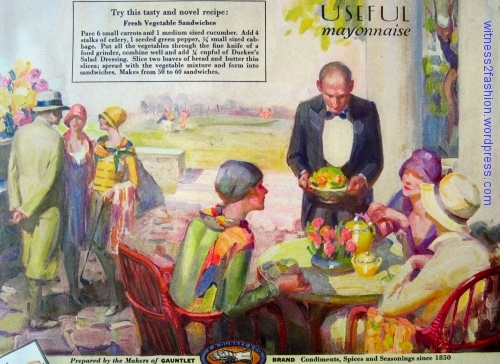 Images from this book are used for purposes of review only. Please Do Not Copy. I have had hours of pleasure studying the images in this book. My first real design job, in grad school, was a production of The Royal Family, a play about a multi-generational family of actors [any resemblance to the Barrymore family was definitely intended]. It was originally performed December 1927 through 1928. 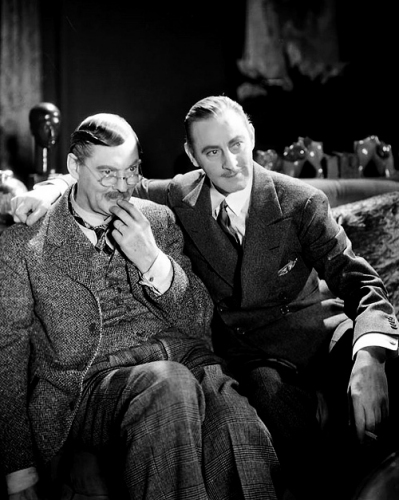 Here are the real Lionel Barrymore and his brother John acting together in the film Grand Hotel, 1932. Lionel and John Barrymore in Grand Hotel, 1932. Image from Pinterest. A digression: This generation of the Barrymores successfully transitioned from stage to film: Ethel as a mature actress, her brother Lionel as a character actor; and John, who was the American Hamlet of his era, was a matinee idol in the twenties and also a notoriously successful ladies’ man. “In my company, always,” Barrymore replied. 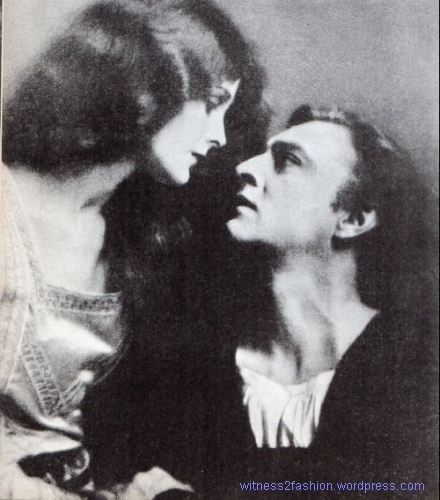 Ophelia (Mary Astor) and Hamlet (John Barrymore), 1925. Photo by Albin from Vanity Fair. This Ophelia did, as revealed in Mary Astor’s very frank autobiography. My first meeting with the director was going very well; I hadn’t owned many books as a teenager, but one, which I read over and over, was Vanity Fair: A Cavalcade of the 1920s and 1930s, edited by Cleveland Amory and Frederic Bradlee. I loved the twenties, as I knew them. I “got” the references to popular culture in the play. I knew who the characters were, read “their” biographies and understood the character types. I even knew that a man who appears partially undressed in a 1927 comedy would be wearing stocking garters — good for a laugh in 1980. I knew how a successful theatrical producer — or actress — in the twenties might be dressed. Producer Florenz Ziegfeld and his wife, actress Billie Burke, from Vanity Fair, 1927. Photo by Steichen. 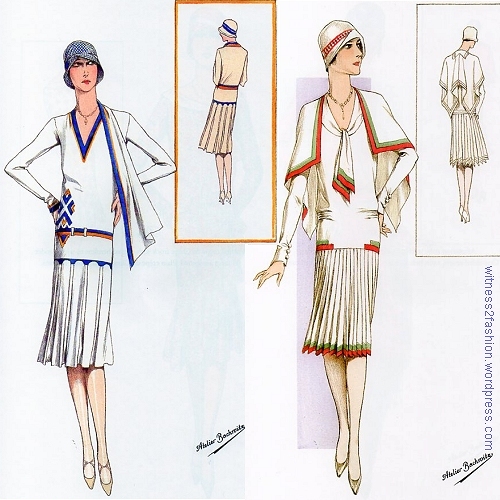 Three Hattie Carnegie outfits from July 1928. Delineator. 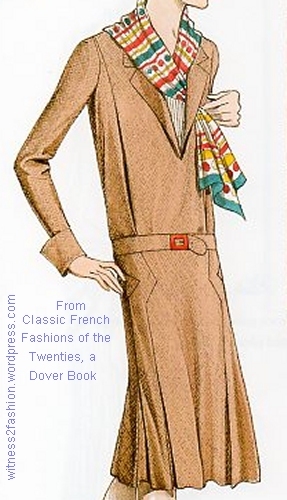 I couldn’t help thinking about this experience while looking through the beautifully illustrated collection of styles from Beaux-Arts des Modes, 1929, which is published by Dover Books as Classic French Fashions of the Twenties. The author credited is Atelier Bachwitz. (Was it a sketch studio or a magazine publisher? The Met has another Atelier Bachwitz publication.) The fashion plates, with each design given an entire page in full color, are lovely, and so detailed that you can study their construction. 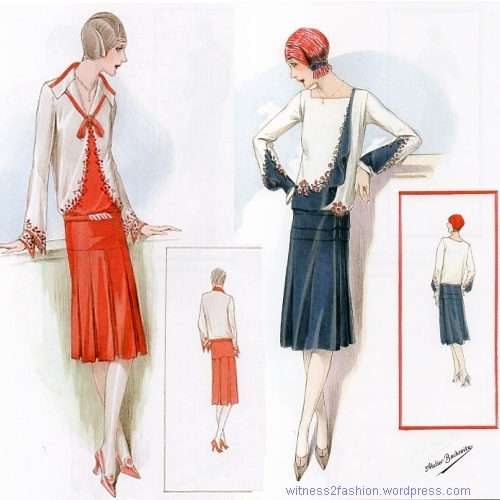 From sporty outfits like those white pleated dresses at the top of this post, to afternoon dresses, fabulous coats, and evening wear, you can dream about an entire 1929 wardrobe — and how you’d make it — while studying these pages. 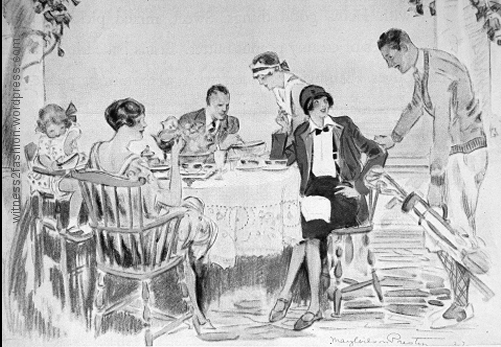 Plate 31 from Dover’s Classic French Fashions of the Twenties. This ensemble has a 3/4 length coat to harmonize with the dress’s asymmetrical hem. The sleeve cuff echoes the pocket. I’m glad I bought this book, just for the pleasure of analyzing lovely renderings like this one. The vertical seam lines down the back of the coat are a slenderizing touch…. …Which just goes to show that the costume designer probably studies them with a skewed viewpoint. For one thing, you are “Shopping in Character,” trying to think like the characters in the play or script, and choosing appropriate clothes for them. You think about their age (and how they feel about their age,) and their personalities. You think about what happens in the play to the woman wearing this dress. You think about her budget (the women who could afford these dresses were not shopgirls or schooteachers.) And you think about the actor’s figure, and how the audience will perceive her clothes. After all, “Costume Communicates” is a First Principle, and the audience will have a smaller style “vocabulary” than a costume historian. You try to remain true to the period, while keeping audience expectations –based on modern clothing — in mind. That problem — making the star attractive to modern eyes — is always at the back of your mind when designing for real bodies, especially when looking at research from the 1920’s. I think it’s natural to look through a book like Classic French Fashions of the Twenties searching for ways the original designers dealt with the same problem. Authentic 1929 designs with strong vertical lines. From Classic French Fashions of the Twenties. 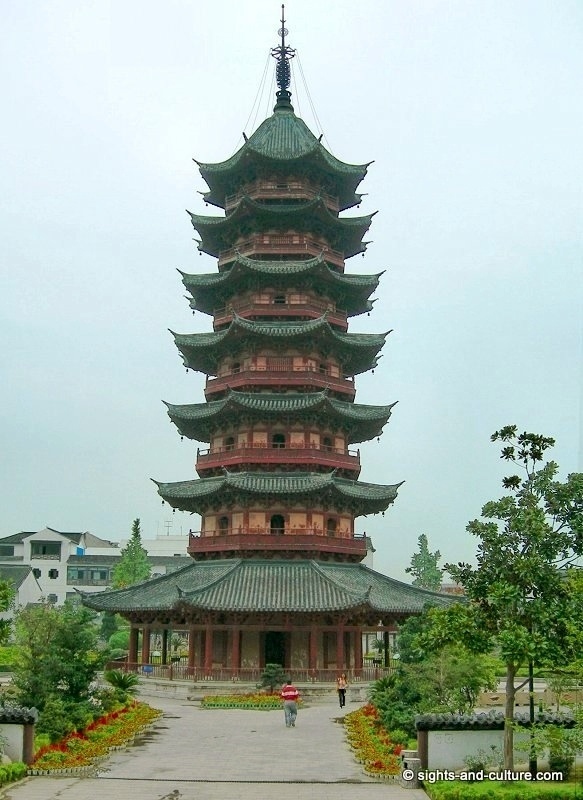 Another good idea, especially for actors and singers, is to attract attention upward, toward the face. 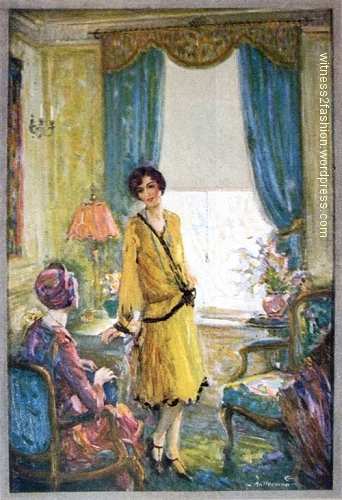 Plates 9 and 39 from Classic French Fashions of the Twenties. The center of interest in these dresses is close to the face, not the hip. The seam lines on the left dress are ingenious, literally pointing toward the center of the body, away from the hip width. 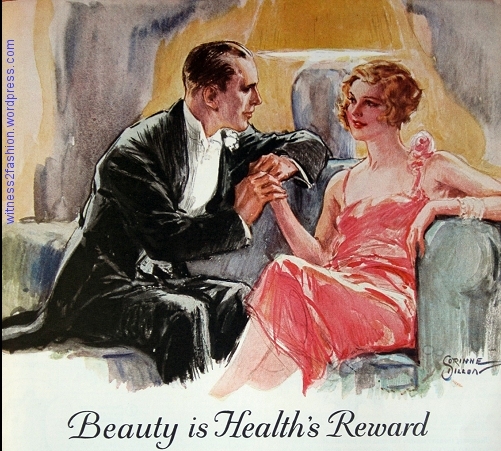 “Focus on the face” is the reason we see so many bright scarves and contrasting collars on 1920’s and 1930’s clothing. On the two dresses below, the area near the face and shoulders is much lighter than the area near the hips. Cleverly, in front the designer has avoided “cutting the body in half” with a horizontal color change at the waist or hip. 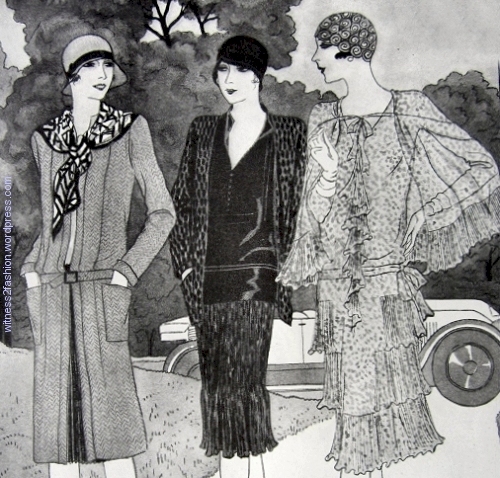 Plate 44 and plate 14 from Classic French Fashions of the Twenties. The top part of each dress is lighter than the bottom part. Again, the eye is led toward the face. The dress on the left doesn’t have to be made in red….or have such a wide buckle. I was delighted to find this very similar dress — via Instagram (thank you, Vintage Traveler!) — from the NYUCostumeStudies site. It has a strong family resemblance to these dresses, which bridge the seams between dark and light fabric with coordinating embroidery. The evening dress from Hillwood Estate, Museum and Gardens belonged to etiquette maven Marjorie Merriweather Post. Their online dress collection is superb. 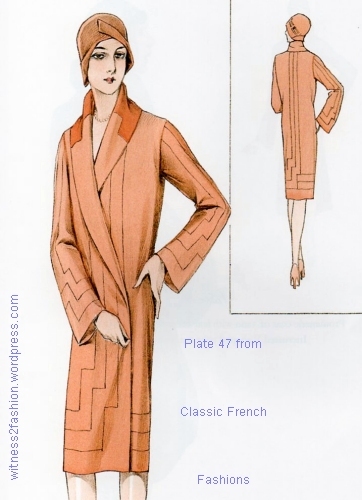 I just have to share this Art Deco coat design. It is much simpler to make than it looks. This coat is made of “silk rep, with incrustation forming scallops. 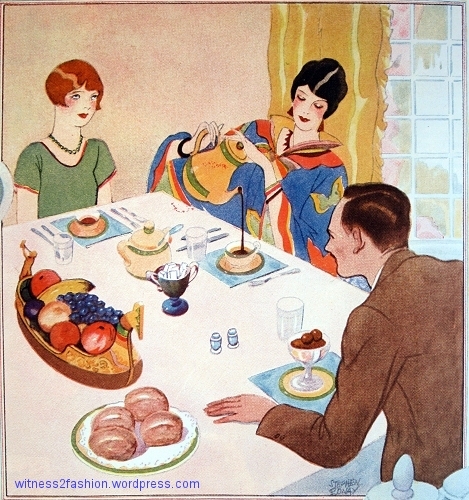 Open sleeves, shawl collar.” 1929. “Incrustation?” Also used about other designs in the book, “incrustation” appears to be a translation meaning “applied trim.” The “scallops”, which I would call zigzags, would be absolute hell if they were seam lines. But this coat is not pieced together; the lines appear to have no structural purpose (see its back view) except, perhaps, on the collar. Again, look how tall and slender she appears in the back view. (Vertical lines….) And there is no “waist down around the hips,” either. Unfortunately, I didn’t have this book in grad school, but I did solve my problem back then by asking the director to move the date of the play to 1929! By then, some dresses had belts at the natural waist. Another thing to keep in mind: If a dress seems too frilly, too silly, or too fattening for the leading lady, it might be perfect for another character — like the 50-ish matron who wears clothes that are too young for her, or the scatterbrained socialite who moves in a cloud of fluttering chiffon. Classic French Fashions from the Twenties has plenty of ideas that might not be right for everybody, but which may be perfect for somebody. Three versions of a frilly chiffon dress: Left, as drawn; center, on a more realistic figure; and right, as it might look on a character who overdoes everything. I wasted way too much time playing with that in a photo program!